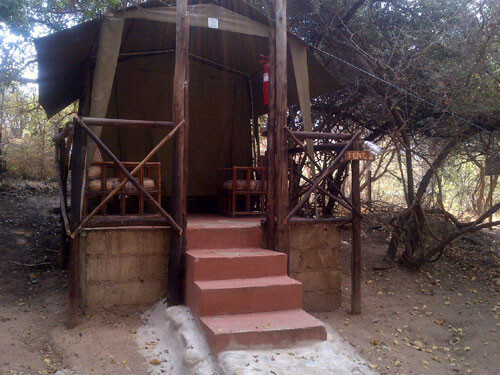 A combination of camping and chalet accommodation make this 10 day adventure safari through Botswana both relaxing and adventurous. Starting in Livingstone on the Zambian side of the might Vicrtoria Falls, we first spend some time admiring the falls and the local activities before heading down into Botswana and stoping at Kasane. 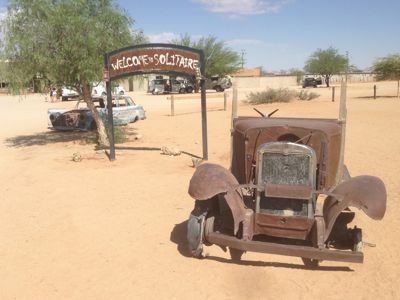 This small town is made famous by the fact that it sits inside the Chobe National Park and on the 4 Corners of Africa. 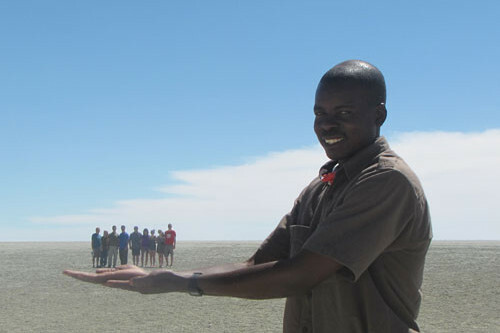 This is where 4 countries borders (Botswana, Namibia, Zambia and Zimbabwe) all meet along the river. From here we move further South down to Gweta to see the Makgadigadi Salt Pans and then finally a stop at Elephant Sands before heading back into South Africa. Adventure, Wildlife, Relaxation. 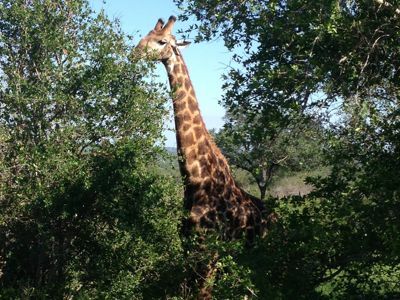 This African budget safari has it all. Don't miss out! Book Now! 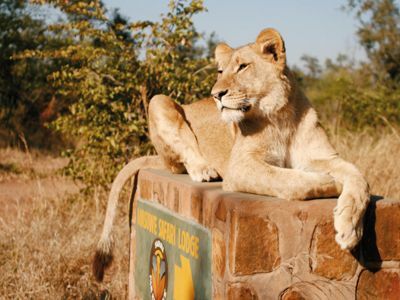 After arrival in Livingstone, you will be transferred to your lodge on the banks of the Zambezi River where you will meet your guide for the duration of your safari. The day is spent at leisure or participate in any of the late afternoon activities on offer. A full day of activities is on offer for Day 02 where you may participate on any of the many activities or spend the day soaking in the warm African sky at your lodge. 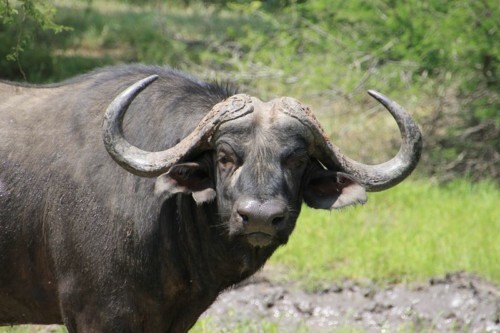 The rest of the morning is spent in the Chobe National Park in search of the Big 5. 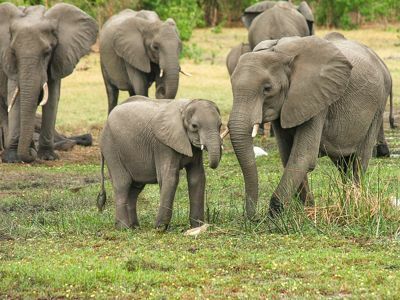 The Chobe National Park is the third largest game park in Botswana and has one of the highest concentrations of wildlife in Africa and is undoubtedly famous for its large herds of Elephant and Buffalo. An afternoon river cruise is welcomed on the Chobe River soaking in the last of the sun rays before settling into camp on the banks of the Chobe River. Waking up to the sounds of Africa, breakfast is enjoyed in camp before packing up and heading through the Chobe National Park to Namibia. We once again pass through passport formalities at Ngoma Bridge heading west through the Caprivi Strip. 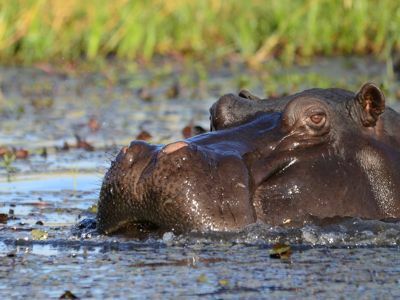 Arriving at our camp mid-afternoon, we have time to set up camp and take an afternoon game drive in the local game reserve in search of more of the Big 5 and not to mention a wealth of Wetland birdlife. 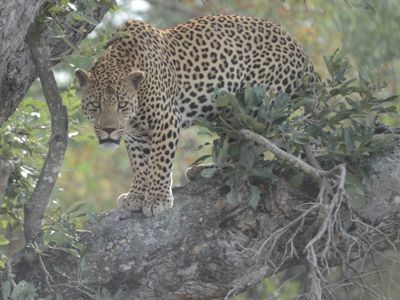 A truly spectacular and typical African safari experience. Continuing along the Caprivi Strip early morning towards Divundu, we head south and enter Botswana once again through Mahango Game Reserve (Botswana Re-Entry Visa required) A short drive through the game reserve, we may encounter Sable, Elephant and Red Lechwe along the river banks. Heading south along the Okavango Pan-handle, we make our way to our next overnight camp at Swamp Stop. Situated on the banks of the flood plain, there are many activities to do. A lengthy drive this morning, so an early breakfast. We head south further along the Okavango Delta Pan Handle towards the travel capital of Botswana – Maun. A short stopover in Maun to do a little shopping before continuing to Gweta. 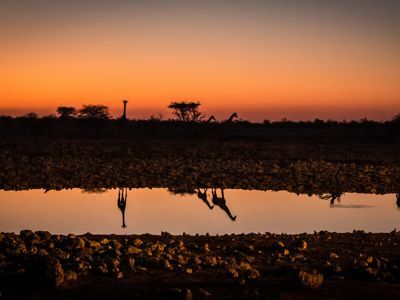 Gweta is situated a short distance away from the Makgadikgadi salt pans where we can explore the area in search of the African Meerkat, the great Baobab and see how the way in which the locals live. Spend the full day on day 07 (Own cost) exploring the vast expanse of the Makgadikgadi pans or relax at the pool at the lodge. A short distance drive arriving at Elephants Sands is a surprisingly and yet wonderful treat after 7 days on safari and yet at the same time – an adventurous experience creating lasting memories. 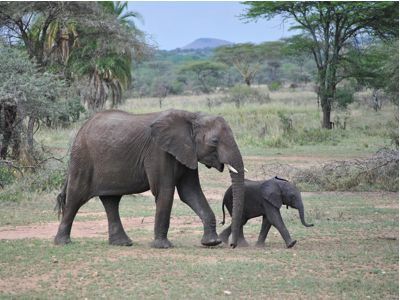 Elephant Sands is home to herds of Elephant that roam freely through the Lodge area situated in 16000ha unfenced private wildlife conservancy. The lack of fences allows all wildlife to wander freely through the conservancy. 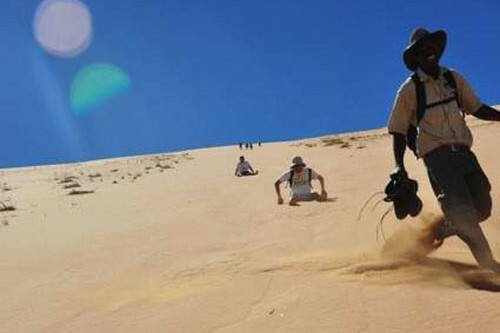 A truly exceptional experience to any intrepid traveller. Another lengthy drive heading south via Nata and Francistown towards the border to South Africa. Arriving late afternoon at our lodge at Kwa Nonkeng, we settle in for a cool dip in the pool before enjoying our last dinner together. An early morning starts today for border formalities into South Africa where we head south towards Johannesburg. Arriving late afternoon in Johannesburg, we arrive at your place of accommodation where we bid you farewell. On every safari to Southern Africa, it is essential to know what to pack and that you pack the correct gear so as to avoid any mishaps while on tour. Below is a guideline to some of the basic requirements. • One large kit bag. • No hard suitcases (max. weight =20 kg (44 lbs)). • One item of hand luggage (e.g. a small backpack). The below important information is for each traveller to read through and to understand before arriving on your African safari. Please contact Ashanti Travel consultants should there be any queries. Please note that we need to be informed of any pre-existing health conditions such as diabetes or asthma or any other condition that requires prescription medicine. Please note that Ashanti Travel or any of its travel partners will not be held liable or responsible for damage or loss to such medication and the safe-keeping of such medication must be looked after by its respective user. 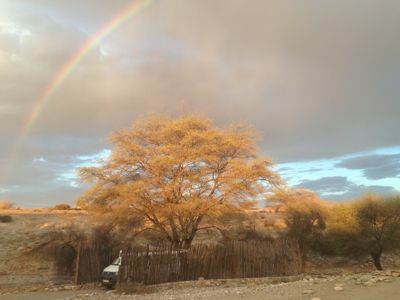 • Malaria: – When traveling in Botswana or Zambia, you should avoid mosquito bites to prevent malaria. You may need to take prescription medicine before, during, and after your trip to prevent malaria, depending on your travel plans, such as where you are going, when you are traveling, and if you are spending a lot of time outdoors or sleeping outside. Talk to your doctor about how you can prevent malaria while traveling. 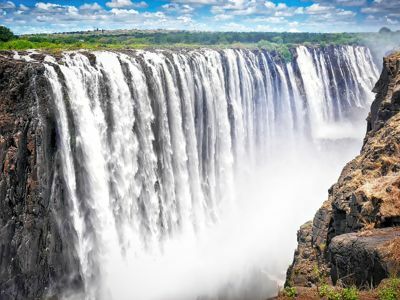 Flights to other African Cities such as to Livingstone is best done with a connecting flight from O.R Tambo International airport in Johannesburg. In order for Ashanti Travel to properly cater whilst on tour, it is important to inform us at the point of booking should there be any special dietary requirement. Please note that visas are the responsibility of the traveller and that Adventour or its partners will not be held responsible for guests being denied entry should they not be in the possession of the relevant visas. Adventure, Wildlife, Relaxation. This African budget safari has it all. Don’t miss out! Book Now!